Majalengka is one district in West Java province, Majalengka will be the relocation of a number of textile industry in the area of Bandung Raya and others big city such as Jakarta, Karawang, Cikarang. The relocation was done in an effort to avoid the cost of production is increasingly rising. 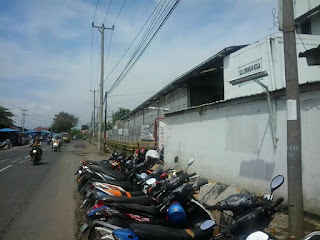 Majalengka has a flat expanse that is ideal for the industry, besides its location will be adjacent to the Kertajati international airport in West Java which is now in the process of building foundation and that The new industrial park will also be connected with the Cileunyi-Sumedang-Dawuan (Cisumdawu) and Toll Cikopo palimanan (Cipali).